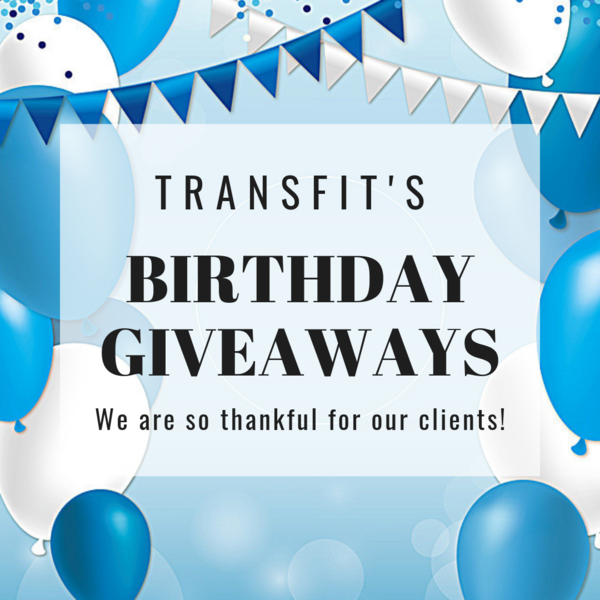 ðŸŽ‰ Happy 3rd Birthday TransFit! Today, we celebrate every client and friend who has been a part of TransFit because we are stronger together! Together we are all transforming the community. 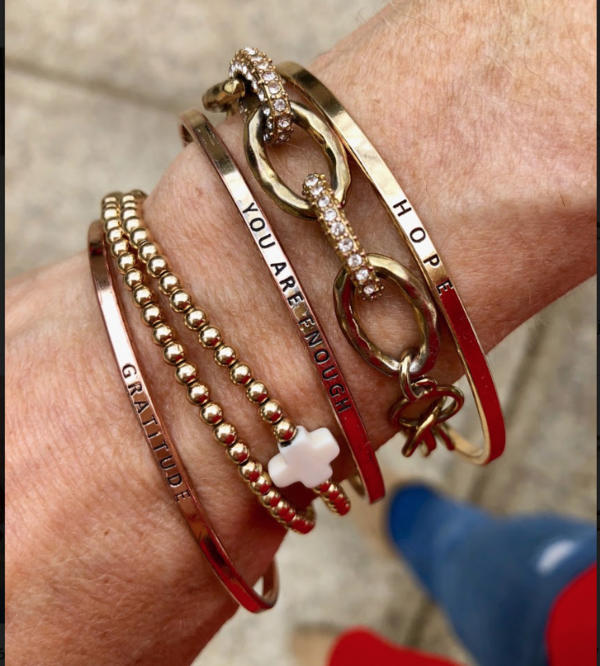 We have loved partnering with Hope 139, Action Ministries, Downtown Academy, and now ESP to actually â€œliveâ€� transformed: using our bodies to love and serve this community! We have transformed lives so much over the past 3 years in this space and could not have done it without all of your sweat, smiles, and prayers. We are SO grateful for you! You have filled the studio with encouragement and positivity as you have accomplished your goals and inspired one another to live transformed. We can celebrate every day because we are so blessed to be surrounded by such amazing women and an awesome community! We have so many fun things going on this week, so you do not want to miss out on all the fun! Make sure you follow us on Instagram and Facebook to stay up to date with everything going on at TransFit. We will have snacks, smoothies, decorations, giveaways, merchandise sales, and so much more going in the studio this week! 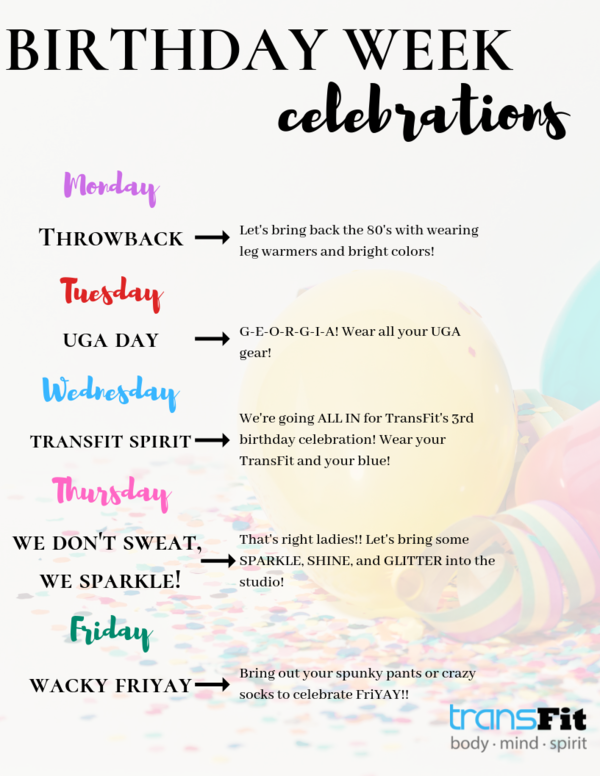 Each day this week will have a theme, so make sure you dress up and join the fun! Bring back the 80s with big hair, leg warmers, neon, and leotards! Come decked out in red & black to support the Dawgs! Show us how much you love TransFit! Wear your TransFit merchandise or blue! Thursday: We Donâ€™t Sweat, We Sparkle! Bring your sparkle, shine, and glitter into the studio! Celebrate the end of this awesome week with your funky leggings or crazy socks! Each day this week, we will be doing a giveaway through our social media on Instagram and Facebook! Make sure you follow us on social media so you can enter these daily giveaways! You can turn on post notifications for our page to make sure you donâ€™t miss anything! All week long, you will receive 20% off any merchandise purchases from our Etsy and in the studio! 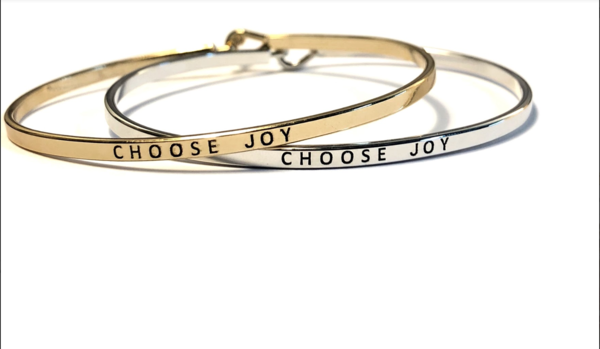 We have tanks, T-shirts, mantra bracelets, and other accessories! Use code â€œCELEBRATEâ€� on Etsy! Last but certainly not least, we have a FREE gift for you! Click the button below to download our Healthy Eating Out ebook. This contains information on both chain and local restaurants, and how to choose healthy options no matter where you go! Note: The link will take you to a page where you click â€œadd to cart.â€� You will NOT have to enter any payment information! Simply enter your email address, click continue on the payment section, then click purchase! You will be emailed a link to download your ebook! Our TransFIVE ebook is another free gift you can download! This book is a 5 day challenge to transform your relationship with sugar. Click the button below to get this free gift! Sign up for classes on our FREE app now so you can be in the studio this week to join us in celebrating TransFitâ€™s 3rd birthday! You have brought us so much joy and inspiration over the past 3 years. We cannot thank you enough for being such incredible women and role models for this community! We are here to serve you! If you have any questions or want to schedule a one-on-one session, please email us at transfitathens@gmail.com. ðŸŽ‰ How Can You Celebrate Every Day? ðŸ™� Are You Ready to Commit?